21/11/14 -- Soycomplex: Beans and meal closed with good gains on the day. Although beans were also net winners on the week, meal actually ended a choppy week close to where it began it. "It was an emotionally charged session today with China’s surprise cut in interest rates rallying beans early, while the announcement from the EPA mid-morning that they were delaying a decision on the 2014 renewable fuel mandate to next year rolled the market over and saw it falling into the red," said Benson Quinn Commodities. Beans and meal ultimately closed near the session highs. The Buenos Aires Grains Exchange estimated the Argentine 2014/15 soybean planted area at 20.6 million ha, unchanged from their previous estimate and up 0.6 million on a year ago. They said that planting is 30.4% complete versus 16.9% a week ago and 37.7% a year ago. The Argentine Ag Ministry estimated 2014/15 plantings at 20.13 million ha versus their figure of 19.78 million a year ago. They also said that farmers there had still only sold 69% of their 2013/14 soybean crop versus 78% a year ago. Less than 3% of the 2014/15 soybean crop has been sold at this time, they added. The Philippines bought 85,000 MT of US meal for March–April shipment. Jan 15 Soybeans closed at $10.39, up 18 1/2 cents; Mar 15 Soybeans closed at $10.46, up 18 cents; Dec 14 Soybean Meal closed at $378.40, up $7.60; Dec 14 Soybean Oil closed at 32.69, up 2 points. For the week Jan 15 beans were up 16 1/2 cents, with Dec 14 meal down $1.50 and Dec 14 oil up 49 points. Corn: The corn market closed with little change on the day, but lower for the week. Corn also had a choppy session, trading around 8 cents higher at one stage, but unlike beans ended closer to the lows of the day than the highs. The EPA were due to make an announcement concerning the US ethanol mandate, but in the end they said that they will delay making a final decision until early 2015. "Due to the profitability in ethanol production, I lost interest in the mandate debate months ago," said Benson Quinn's unmoved Brian Henry. 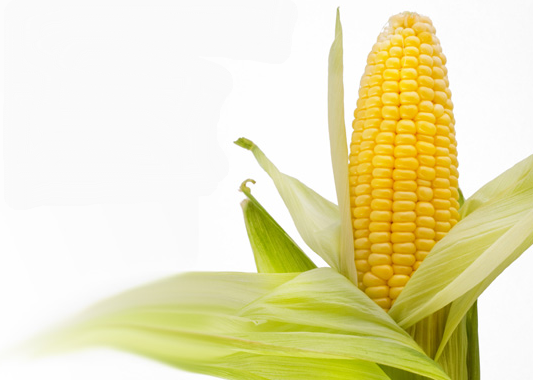 The USDA announced 132,000 MT of US corn sold to unknown for 2014/15 delivery. China’s central bank cut benchmark interest rates for the first time in over 2 years. The Buenos Aires Grains Exchange said that Argentine corn planting is 40% complete. They forecast the corn for grain planted area at 3 million ha, unchanged from their previous estimate. The Argentine Ag Ministry forecast the all corn planted area at 5.56 million ha, a near 10% drop on a year ago. Argentine summer growing conditions are very wet, with the developing El Niño potentially boosting yields in both corn and soybeans, said Martell Crop Projections. Corn yields in Argentina in the strong El Niño year of 2009-10 were record high and up 34% compared to the previous year, they note. Ukraine said that their 2014 grain harvest was 97% complete at 62 MMT. They are 93% done with the corn harvest, producing a crop of 25.5 MMT to date. That suggests a final crop of around 27.4 MMT, although it is unclear what volume of that might not get cut due to the continued fighting in the east of the country. Dec 14 Corn closed at $3.72 3/4, down 1/2 cent; Mar 15 Corn closed at $3.85 1/4, down 1 cent. For the week Dec 14 corn shed 9 cents and Mar 15 similar amount. Wheat: The wheat market finished the day narrowly mixed across the 3 exchanges, but lower for the week on all. Comments from ECB chief Mario Draghi that he would "step up the pressure" to stimulate Europe's struggling economy sent the euro tumbling. That potentially paves the way for increased EU wheat exports, which are already ahead of last year's record pace, at the expense of US wheat getting a look in. The perpetually strong US dollar is also a negative for US export ambitions. The Buenos Aires Grains Exchange said that the Argentine wheat harvest is 21.4% complete, making good progress from 10.8% done a week ago and ahead of 16% a year ago. They left their estimate for this year's crop unchanged at 11.5 MMT. The Argentine Ag Ministry see production even higher, at 12 MMT, a 30% rise on last year's crop. The Philippines bought 116,500 MT of optional origin feed wheat for March–May shipment. Kazakhstan said that it's 2014 grain harvest was now 97.2% complete on 14.6 million ha, producing a crop of 18.4 MMT to date. A year ago they were 98.6% done on 15.5 million ha, with a crop of 15.5 MMT. The Australian 2014 harvest is underway in WA and NSW. Abares are forecasting a wheat crop of 24.2 MMT (down more than 10% on last year), although most say that this figure is still too high by at least 1 MMT and possibly up to 3 MMT. "October rainfall was severely deficient in New South Wales, Victoria and South Australia with 30% of normal rainfall, or less. The El Niño is a known drought maker in Eastern Australia," said Martell Crop Projections. Dec 14 CBOT Wheat closed at $5.47 1/4, unchanged; Dec 14 KCBT Wheat closed at $6.04, up 1 3/4 cents; Dec 14 MGEX Wheat closed at $5.83 1/4, down 1 1/4 cents. For the week Dec 14 Chicago wheat was 13 1/4 cents lower, with Kansas down 1 1/2 cents and Minneapolis falling 6 cents. 21/11/14 -- EU grains traded higher on the day, and higher for the week. Nov 14 London wheat expired, making Jan 15 the new front month. At the close Jan 15 London wheat was up GBP2.25/tonne to GBP128.00/tonne, Jan 15 Paris wheat was EUR3.00/tonne firmer at EUR177.75/tonne, Jan 15 Paris corn was up EUR0.50/tonne to EUR152.25/tonne, whilst Feb 15 Paris rapeseed ended EUR1.25/tonne higher at EUR339.00/tonne. For the week, Jan 15 London wheat gained GBP1.35/tonne, with Paris wheat adding EUR1.25/tonne, corn falling EUR0.75/tonne and rapeseed EUR3.25/tonne firmer. London wheat is now at the best levels for a front month since mid-July, and Paris wheat is at its highest since early August. Comments by ECB chief Mario Draghi were interpreted by the market as meaning that the bank is willing to further increase QE, which put the euro back under pressure today. The single currency slumped to its lowest levels against a resurgent dollar since Aug 2012, and is now down almost 10% against the US currency since the turn of the year. EU wheat exports already remain very strong, and a weak euro will only help maintain that pace. Brussels issued a further 636,000 MT of soft wheat export licences this past week, taking the marketing year to date total to 11.5 MMT, which is almost a million tonnes ahead of this time a year ago when the final total went on to break all previous records. FranceAgriMer said that the French corn harvest was 95% complete as of Monday, up 5 points on a week previously and 30 points ahead of this time a year ago. Crop conditions for 2015 look promising at this early stage. French winter wheat is now 98% planted versus 96% a week ago and 87% in 2013. The crop is 91% emerged versus 84% last week and 79% a year ago. They said that 38% of the crop is at the early tillering stage, up from 25% last week and ahead of only 24% a year ago. The French winter barley crop has been 100% sown for a few weeks now. The proportion at the early tillering stage was estimated at 61%, up from 45% both a week and a year ago. Winter wheat ratings dropped one percentage point from a week ago in the good to very good category to 93%, although that's not bad at all and still 10 points ahead of this time last year. Winter barley rated good to very good also fell a point on the week, and also to 93%, a year ago 81% of the crop was estimated to be in the top two categories. 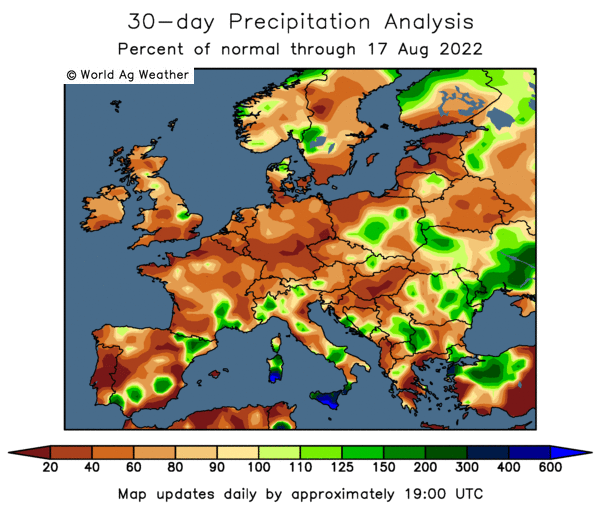 If things look good in France, they're far from it in Russia where dryness remains a serious issue for their winter planted crops. "In the past 30 days only 13 mm of rainfall has developed in Krasnodar, Stavropol, Rostov and Volgograd, the 4 main winter wheat districts. That amounts to 37% of normal moisture. Dry weather this autumn also comes on the heels of a very dry summer. Less than half of normal rainfall occurred during June-August in the Southern District," say Martell Crop Projections. SovEcon recently likened conditions this year to late 2009, Martell Crop Projections say that this year's drought is even worse. Wheat production in 2010 went on to be very poor, although a spring and early summer drought and heatwave were also contributory factors in that particular growing year. World wheat prices doubled in the second half of 2010 through to early 2011 on the back of this you may recall. 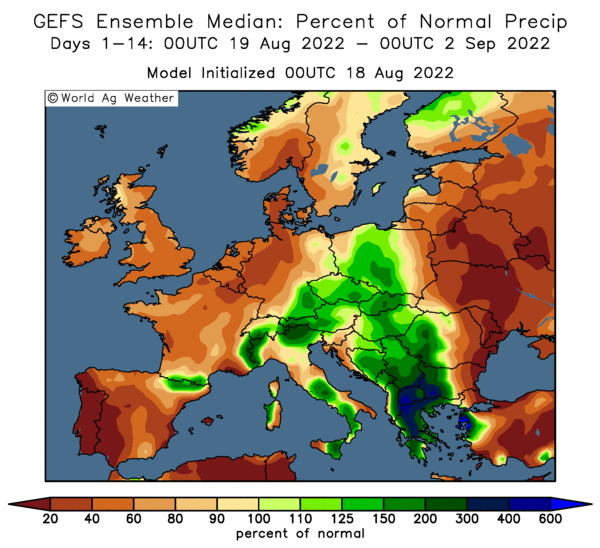 Soaking spring rains will now be needed to save Russia's winter planted crops (mainly wheat) from becoming a similar disaster. This time round Russian growers also have the thorny problem of lack of easy access to credit to fund spring plantings and purchase other inputs. This could be as big, if not an even bigger issue than current crop conditions, one local commentator tells me. The Russian Central Bank recently raised interest rates to 9.5% amidst a plunging rouble and raging inflation caused by Western sanctions. If you are a Russian farmer wanting to get a loan then your local bank is charging at least double that, and as much as 22%, if you can get one at all I understand. 20/11/14 -- Soycomplex: Beans finished higher in a mixed news session. Whilst weekly exports of more than 3 MMT were a marketing year high, fresh sales of less than 500 TMT were a marketing year low. The USDA did however also announce 140,000 MT of US beans sold to unknown for 2014/15 delivery under the daily reporting system, having confirmed a similar sale of 125,000 MT yesterday. Meal export sales of 265,700 MT were better than expected. Thailand bought 260,000 MT of South American soymeal. South Korea bought a cargo of Brazilian meal for Jan shipment. Dr Cordonnier estimated the 2014/15 Brazilian soybean crop at 92.0 MMT, unchanged from his previous estimate. He was also unchanged on the Argentina bean crop at 55.0 MMT. The Argentine Ag Ministry estimated the 2014/15 soybean planted area at 20.1 million ha versus a previous estimate of 20.3 million. Jan 15 Soybeans closed at $10.20 1/2, up 15 3/4 cents; Mar 15 Soybeans closed at $10.28, up 16 cents; Dec 14 Soybean Meal closed at $370.80, up $0.40; Dec 14 Soybean Oil closed at 32.67, up 16 points. Corn: The corn market reversed all of yesterday's losses and then some. Weekly export inspections of 908,700 MT were better than what the market was looking for (400-700,000 MT). Actual shipments though, as alluded to on Monday, of only 386,900 MT were a marketing-year low. Cumulative sales are 46% of the USDA's target for the season versus the average pace of 49%. Dr Cordonnier estimated the 2014/15 Brazilian corn crop at 72.0 MMT, and the Argentine crop at 21 MMT, both are unchanged from his previous estimates. Israel bought 147,000 MT of optional origin corn (most likely to be of Black Sea origin) for Jan-April shipment. The Ukraine corn harvest is wrapping up. APK Inform estimated the country's 2014/15 corn exports at 18.1 MMT versus the current USDA estimate of 16.5 MMT. The Russian corn harvest is now 92% complete at 11 MMT. MDA CropCast increased their forecast for the EU-28 corn crop by 0.5 MMT from a week ago to 66.5 MMT, a 12.5% rise compared to a year ago, although not as high as many other trade estimates - some of which are 70 MMT or more. Japan’s use of corn in animal feed in September was 45%, the same as in August but up versus 41.8% a year previously. Dec 14 Corn closed at $3.73 1/4, up 10 cents; Mar 15 Corn closed at $3.86 1/4, up 10 1/4 cents. Wheat: The wheat market, which had been lower to mixed in overnight trade, closed strongly higher at the finish once the US daytime markets sprung into life. It's hard to put a definite reason behind today's rally. "It’s hard to argue the market was oversold, but it had become pretty easy for the short position holder," said Benson Quinn Commodities. Weekly export sales of 361,700 MT didn't startle anybody that's for sure. Meanwhile actual shipments of 178,400 MT were down 43 percent from the previous week and 39 percent below the prior 4-week average. Egypt's GASC bought just the one cargo of French wheat for late December shipment in their tender. Saudi Arabia released a tender for 330,000 MT of optional origin hard wheat for Feb-March shipment. 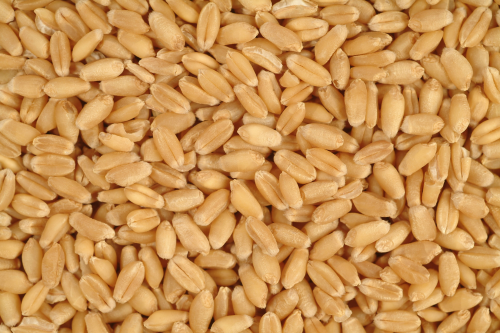 Japan bought 123,192 MT of a mixture of US, Canadian and Australian wheat in a routine Thursday tender. Taiwan bought 82,050 MT of US milling wheat for Jan-Feb shipment in a tender. Nothing much out of the ordinary there. MDA CropCast raised their forecast for next year's Canadian wheat crop by 0.9 MMT to 28.6 MMT, a 3.25% increase compared to this year. Russia said that they'd now harvested 110 MMT of grain off 97.2% of the planned area. Wheat accounts for 62.2 MMT of that total, also off 97.2% of the intended area. Dec 14 CBOT Wheat closed at $5.47 1/4, up 9 1/2 cents; Dec 14 KCBT Wheat closed at $6.02 1/4, up 16 cents; Dec 14 MGEX Wheat closed at $5.84 1/2, up 13 cents. 20/11/14 -- EU grains closed mostly higher, supported by Egypt's GASC buying French wheat in a tender, even if it was only one cargo. At the finish Nov 14 London wheat was up GBP1.40/tonne at GBP123.40/tonne, Jan 15 Paris wheat was EUR2.25/tonne higher at EUR174.75/tonne, Jan 15 Paris corn was EUR2.75/tonne firmer at EUR151.75/tonne, whilst Feb 15 Paris rapeseed rose EUR1.25/tonne to EUR337.75/tonne. Egypt bought 60,000 MT of French wheat from Soufflet at $259.87/tonne including freight for Dec 21-31 shipment. The price was a little higher than the average $258.34/tonne paid in their last tender, although that was for a slightly better shipment period. The purchase takes the total volume of wheat GASC have bought on the international arena for the 2014/15 shipment period to more than 2 MMT. That's still a far cry from the almost 5.5 MMT that they bought in 2013/14. The world's largest wheat buyer recently stated that they had enough wheat bought to almost see them through to the start of their own domestic harvest in March. The Egyptian government pay way over current world wheat price levels to local producers in an effort to ensure increased domestic production. This would seem to indicate that their international purchases may fall significantly in 2014/15 - which is after all the government's stated aim. Lack of credit is also an issue for them. Elsewhere, Saudi Arabia are in the market tendering for 330,000 MT of 12.5% milling wheat for Feb/Mar shipment. Israel bought 147,000 MT of optional origin corn (possibly Black Sea origin) for Jan/Apr shipment. They also cancelled a tender for 25,000 MT of optional origin wheat. APK Inform estimated Ukraine’s 2014/15 wheat crop at 23.3 MMT, up 5% from a year ago, but more than 1MMT below the USDA's current forecast. They see this season's wheat exports however at 10.35 MMT versus the USDA estimate of 10.0 MMT. They also forecast Ukraine’s 2014/15 corn exports at 18.1 MMT versus a USDA estimate of 16.5 MMT. The Ukraine Ag Ministry said that the country's 2014 grain harvest was now 97% done at 62 MMT. MDA CropCast forecast the EU-28 wheat crop next year at 146.4 MMT, a 2 MMT reduction compared with their previous estimate and a 2.4% decrease on this year. 19/11/14 -- Soycomplex: Beans and meal fell hard, closing more or less at session lows. "Market sentiment seems to be shifting to one of risk reduction with December first notice day for meal and soyoil a week from Friday and market getting in the silly season of thin holiday markets and year-end positioning," said Benson Quinn Commodities. We have month end coming up, and next Thursday is Thanksgiving so the US markets will be shut, and Friday will be a bit of a write off too, so any book squaring that wants doing really needs completing prior to that. Demand for US beans still remains strong though. The USDA announced 125,000 MT of US beans sold to unknown for 2014/15 shipment. Monday's weekly export inspections were at record levels, and tomorrow brings the usual weekly export sales report. Various trade estimates are that for beans these will be back below 1 MMT for the first time in a month following last week's rally. Personally I'm not so sure that they will. Lanworth estimated US 2014 soybean yields at 47.8 bu/acre, unchanged from their previous estimate and an all time high. There's good rains in the forecast for most of Brazil in the week ahead. These will certainly be welcome in the top soybean producing state of Mato Grosso, although maybe less so in the already wet number 2 and 3 leading soybean states of Parana and Rio Grande do Sul. Ukraine said that they'd brought in a record 3.8 MMT of soybeans this year, much of that will likely be heading to Europe. Bean futures prices look like they are shaping up to test the $10/bu level again. With cash prices now back into single figures, producer selling has eased up by all accounts. Meal suddenly looks to be the weakest link, with the basis dropping sharply as more sales are switched to South American origin. Jan 15 Soybeans closed at $10.04 3/4, down 18 1/2 cents; Mar 15 Soybeans closed at $10.12, down 19 cents; Dec 14 Soybean Meal closed at $370.40, down $7.60; Dec 14 Soybean Oil closed at 32.51, down 14 points. Corn: The corn market closed with near double digit losses, not helped by wheat throwing in the towel. Monday's weekly export inspections were fairly poor, and tomorrow's weekly export sales are only expected to be relatively modest too - in the region of 400-700 TMT. "While I feel technicals have had as much influence as fundamentals on the recent break, if there’s a supportive fundamental feature in the corn market it isn’t apparent. The corn is still standing in the fields argument isn’t getting any traction and rightly so. The harvested acreage estimates are too high argument has some supporters but hasn’t gained much traction either," said Benson Quinn. Lanworth estimated this year's US corn yield at 174.7 bu/acre, down from a previous estimate of 175.7 bu/acre, but still easily a record. The Ukraine Economy Ministry raised their forecast for this year's corn crop in the country to 28 MMT, forecasting exports at 20.2 MMT versus a previous estimate of 17.9 MMT. 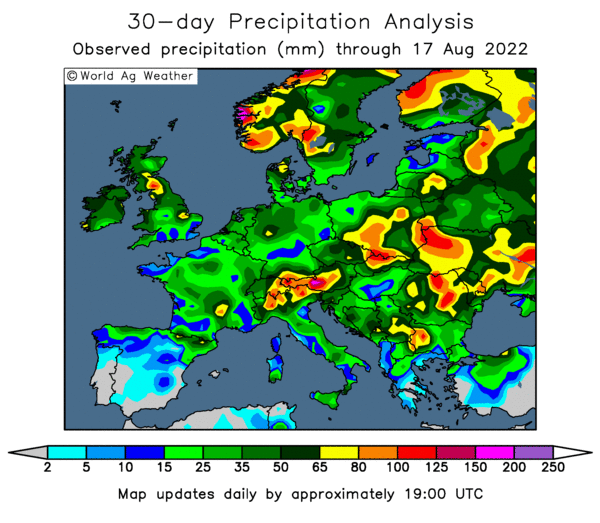 Abundant summer rainfall across much of Europe means that the EU-28 corn crop is set to reach a record volume of 70 MMT or more this year. The rains also mean that there are some quality issues around however. South Korea's Kocopia bought 55,000 MT of optional origin corn for March shipment. South Korea's KFA bought 50,000 MT of optional origin corn for Jan-March shipment. South Korea's MFG bought 50,000 MT of optional origin corn for Feb-March shipment. Weekly ethanol production data from the U Energy Dept had output at 970,000 barrels/day last week, the biggest week since June and a decent 36,000 bpd rise on the previous week. 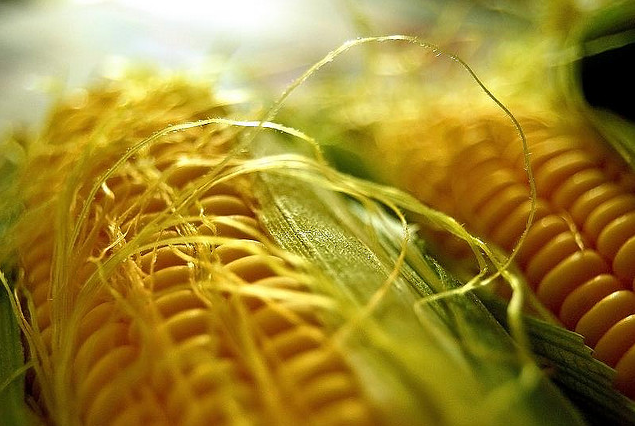 ADM are said to be suing Syngenta over the rejection of US GMO corn by China over the last 12 months. The lawsuit alleges that Syngenta commercialised the MIR162 corn variety "without creating an effective stewardship program to ensure the grain would not be shipped to markets that have not approved it," according to a report on Reuters. Dec 14 Corn closed at $3.63 1/4, down 8 3/4 cents; Mar 15 Corn closed at $3.76, down 9 cents. Wheat: The wheat market closed lower across the three exchanges, with Chicago wheat coming off the worst. It hasn't been a good week for wheat so far. Monday's export inspections were extremely poor, and news that French feed wheat is now following UK origin material across the Atlantic and into the US east coast is also bearish. The world is buying/tendering for wheat, it's just that the US offer isn't picking up much of the business. The Philippines are shopping for 116,400 MT of feed wheat from Australia, the EU or the Black Sea region for March-May shipment. Jordan bought 100,000 MT of optional origin hard wheat for April/May shipment. Tunisia bought 100,000 MT of optional origin milling wheat (most likely French origin) for Dec-Jan shipment. They also booked 50,000 MT of optional origin feed barley (also most likely to be of French origin) for Dec–Jan shipment. Qatar bought 20,000 MT of Australian origin milling wheat for January shipment. There are also reports that China has been buying feed and malting barley from Australia, the Black Sea region and Europe over the past couple of weeks. Dr Cordonnier reported that the Brazilian wheat crop in the state of Rio Grande do Sul is "a disaster" - being both low in yield and quality following a persistently wet growing season. Harvesting in the state is now 75% complete, and losses in some areas are in the 30-60% region, with yields only averaging 1.2-1.5 MT/ha, he says. That may provide something of an opportunity for US wheat, although Argentina's crop is looking like being much larger this year than the previous two. They are also able to export wheat to Brazil under preferential terms, being inside the Mercosur trade bloc, so they should be the main beneficiary of increased Brazilian imports. 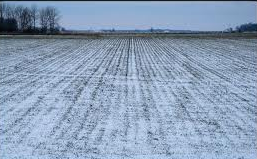 The current sharp freeze hitting the US should not be too much of a problem for winter wheat on the Great Plains, but could be more of an issue for Midwest soft red wheat, where planting was seriously delayed, cutting short the "hardening" period, say Martell Crop Projections. Dec 14 CBOT Wheat closed at $5.37 3/4, down 11 1/4 cents; Dec 14 KCBT Wheat closed at $5.86 1/4, down 7 1/4 cents; Dec 14 MGEX Wheat closed at $5.71 1/2, down 7 cents. 19/11/14 -- EU grains traded lower, following an afternoon slump in the US markets, which saw Chicago wheat post double digit losses and with corn almost matching it. At the close Nov 14 London wheat - which goes off the board on Friday and has zero open interest - was nominally down GBP1.15/tonne to GBP122.00/tonne; Jan 15 Paris wheat was EUR0.75/tonne lower at EUR172.50/tonne; Jan 15 Paris corn fell EUR1.00/tonne to EUR149.00/tonne; Feb 15 Paris rapeseed ended EUR2.50/tonne easier at EUR336.50/tonne. The pound recovered marginally from yesterday's 14 month low against the US dollar, and also added a little bit of weight versus the euro. Sterling is still almost 8% lower against the dollar compared to where it stood in early July. It has also fallen from around 1.28 against the single currency to under 1.25 so far this month. Lloyds Bank put back their forecast for a UK interest rate rise from Feb 15 to Aug 15. In contrast, they neared their estimate for when rates will start to rise in the US from Sep 15 to Jun 15. They said that the recent fall in value of the pound may have been a little overdone though, forecasting an exchange rate of around 1.59 against the dollar and 1.27 versus the euro by the end of the year. Even so, they now see the STG/USD rate at 1.53 by the end of 2015. A weaker pound would in theory help the chances of the UK winning some welcome wheat export business, although sales have been sluggish so far this season. Very good corn yields are being reported out of France as their harvest draws to a close (90% done as of Nov 10). The General Association of Maize Growers (AGPM) raised their forecast for this year's French corn crop from 17.25 MMT to a new record 18 MMT today. Ukraine's Ministry of Economic Development forecast this year's grain crop at a record 63.2 MMT, which is slightly higher than 63.0 MMT a year ago. They see wheat production at 24 MMT, with a barley crop of 9 MMT and corn output of 28 MMT. Exports this year were forecast at a record 36.7 MMT, including 11.8 MMT of wheat, 4.2 MMT of barley and 20.2 MMT of corn. Ukraine's 2014/15 grain ending stocks were estimated at 7.7 MMT versus the 8.3 MMT left over at the end of last season. Ukraine's grain exports so far this season stand at 14.173 MMT, including 7.157 MMT of wheat, 3.316 MMT of barley and 3.555 MMT of corn. 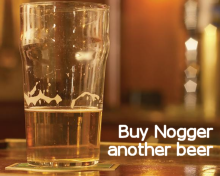 They now appear to be concentrating their export efforts on the latter as the harvesting of that draws to a close. Russia still has around 600k ha of wheat to harvest this year, mainly in Siberia and the Urals region, according to Agritel. They may struggle to get it all in now. The Philippines are tendering for 116,400 MT of feed wheat from Australia, the EU or the Black Sea region for March-May shipment. The Australian Bureau of Meteorology said that there is a 70% chance of an El Nino developing by the end of their summer, up from 50% previously. Whilst this would bring drier weather for much of Australia, it would also typically mean increased rainfall for South America and parts of the US. 18/11/14 -- Soycomplex: Beans closed lower, erasing most of yesterday's gains in "turnaround Tuesday" style. Talk continues of US meal sales being switched to South American origin material. Abiove estimated Brazil’s 2014/15 bean crop at a record 91.0 MMT, unchanged from their previous estimate. JP Morgan are suggesting that the USDA may have overstated the US soybean area for this year's harvest by around 1.4 million acres. "This could be good explanation for why this harvest of record corn and soybean crop production has not severely stressed grain elevator storage and pipelines have been much tighter than market had anticipated given the astonishing yield reports the market has seen," suggested Benson Quinn Commodities.The USDA announced 100,647 MT of US beans sold to unknown for 2014/15 shipment. Jan 15 Soybeans closed at $10.23 1/4, down 13 cents; Mar 15 Soybeans closed at $10.31, down 13 cents; Dec 14 Soybean Meal closed at $378.00, down $9.10; Dec 14 Soybean Oil closed at 32.65, up 20 points. Corn: The corn market closed around 5-6 cents lower. "Corn futures were lower overnight and eventually traded through the 10 day moving average level of 374 that appeared to be defended by the institutional trader early in the session," said Benson Quinn. US weather conditions have turned cold as the remainder of the 2014 US corn harvest concludes. "Midwest temperatures last week plummeted to 30.3 F, the daily average of highs and lows. This was the coldest week in the major corn states since March 8 and 15 degrees colder than the previous week. Harvesting is moving rapidly toward completion, the soybean harvest now 94% complete and corn 89% finished. Sub-freezing temperatures have hardened fields promoting very rapid progress," said Martell Crop Projections. The Russian 2014 corn harvest is more than 91% done at 10.9 MMT. The Ukraine corn harvest is also nearing completion and currently stands at 25.2 MMT. JP Morgan estimate that the USDA have overstated this year's US corn planted area by around 2.1 million acres. Dec 14 Corn closed at $3.72, down 5 1/2 cents; Mar 15 Corn closed at $3.85, down 5 1/2 cents. Wheat: The wheat market drifted lower, reflecting that US prices have maybe got a little ahead of themselves. Certainly yesterday's poor weekly export inspections would indicate that. So too would news of French feed wheat heading to the US this week. Tunisia, Qatar and Jordan are all tendering for wheat, but US origin material is unlikely to feature in any of it. Iraq said that ISIS has stolen more than 1 MMT of grain in the north of the country and taken it to neighbouring Syria. The Ukraine Ag Ministry said that the country has exported 14.0 MMT of grains so far this season. The head of the Ukraine Grain Association said that the country had doubled it's grain output in the last 10 years, and if it could match US corn yields and those of France for wheat and barley then they could further double their production capacity and produce 120 MMT of grains annually. Russia said that its 2014 grain harvest now stands at 109.9 MMT, including 62.2 MMT of wheat off 97% of the planned area. Winter grains have now been planted on 16.8 million hectares in Russia, exceeding the Ag Ministry's forecast. Dec 14 CBOT Wheat closed at $5.49, down 2 3/4 cents; Dec 14 KCBT Wheat closed at $5.93 1/2, down 3 cents; Dec 14 MGEX Wheat closed at $5.78 1/2, down 5 cents. 18/11/14 -- EU grains traded mostly lower. At the close Nov 14 London wheat was down GBP0.50/tonne to GBP123.15/tonne, Nov 14 Paris wheat was EUR0.25/tonne easier at EUR173.25/tonne, Jan 15 Paris corn was down EUR2.00/tonne to EUR150.00/tonne, whilst Feb 15 Paris rapeseed ended EUR2.50/tonne higher at EUR339.00/tonne. Once again, fresh news was hard to come by, and prices generally drifted lower. There are reports of a 45,000 MT French feed wheat boat loading in Rouen bound for the east coast of the US. This is said to be the first such shipment in 12 years as the French search for new homes for their large feed wheat surplus this year. 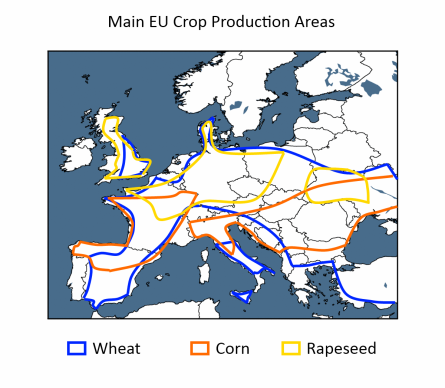 There are also reports of 25,000 MT of German rapeseed meal going to the US this month. The French government said that as of October 1st French farmers had sold 29.5 MMT of this year's grain harvest versus 28.0 MMT a year ago. They also said that as of the same date French grain stocks were 20.1 MMT versus 19.4 MMT a year ago. Qatar are said to be tendering for 40,000 MT of optional origin milling wheat for Jan-March shipment, and Jordan seeks 100,000 MT of optional origin milling wheat for April/May shipment. Tunisia are also in the market, tendering for 92,000 MT of optional origin milling wheat for Dec-Jan shipment, along with 75,000 tons of optional origin barley for the same period. The HGCA estimated the UK cost of production of feed wheat for the 2014 harvest at around GBP151/tonne. Ukraine said that their 2014 grain harvest was now 97% done at 61.7 MMT. The corn harvest currently stands at 25.2 MMT, they said. The Russian harvest is also 97% complete at almost 110 MMT. 17/11/14 -- Soycomplex: Beans regained some of Friday's losses, helped by a larger than expected October NOPA crush number and enormous weekly export inspections. The NOPA crush came in at 157.96 million bushels, up almost a million compared to October 2013, with the trade expecting a drop on 12 months ago. Weekly export inspections were a gigantic 3.113 MMT compared to 2.389 MMT a year ago, and a record volume for any week ever. The USDA reported that 94% of the US soybean crop had now been harvested, up 4 points versus last week and 2 points behind the 5-year average. In Brazil, the weather remains generally uncooperative. "Rainfall last week was disappointing in Brazil’s main soybean growing areas, however, the forecast is hopeful for strong showers in the upcoming week. Over the past 7 days, less than 20 mm of rainfall has developed in Mato Grosso’s center-east whereas the average weekly rainfall would be near 50 mm. South Brazil soybean states Parana and Rio Grande do Sul were also dry last week, receiving less than 20 mm of rainfall against 39 mm on average," said Martell Crop Projections. Jan 15 Soybeans closed at $10.36 1/4, up 14 3/4 cents; Mar 15 Soybeans closed at $10.44, up 15 1/4 cents; Dec 14 Soybean Meal closed at $387.10, up $7.20; Dec 14 Soybean Oil closed at 32.45, up 25 points. Corn: The corn market ended around 3-4 cents lower. Weekly export inspections were on the light side at only 401,116 MT last week versus 528,042 the previous week. Very strong global demand for nearby soybeans may have something to do with this, as US berths can only load a finite volume of grains/oilseeds in a week. "From a technical standpoint, upward momentum is waning with help from lower trade the last couple of sessions. However, the market has only managed a 15 cent correction from last week’s highs and has held potential support at the 10 day moving average of 374," said Benson Quinn Commodities. The USDA reported that the 2014 US corn harvest was now 89% complete, up from 80% a week ago, and not a bad effort given the weather conditions. The new total is actually now one point ahead of the prior 5-year average! Russia's corn harvest is now 90% complete at 10.2 MMT. Corn accounted for 70% of Ukraine's grain exports last week, up from 65% the previous week and 53% the week before that. China are said to have bought over 1 MMT of Ukraine corn since the beginning of October. The Chinese are also said to have recently purchased Bulgarian corn for the first time. They appear to be no closer to resolving the MIR 162 dispute with the US than they were a year ago when they started rejecting US supplies. Dec 14 Corn closed at $3.77 1/2, down 4 1/4 cents; Mar 15 Corn closed at $3.90 1/2, down 3 3/4 cents. Wheat: The wheat market closed around 6-9 cents lower. Weekly export inspections were a bearish influence. These came in at a miserly 139,351 MT, down from 302,622 MT last week and 493,020 MT a year ago. Again, this may have been due to the US majoring on beans. "Given the number of soybean inspections, I am not sure where they find the capacity to load wheat," said Benson Quinn. US winter wheat planting for the 2015 harvest only advanced 2 points to 95% complete this past week, said the USDA. That's down compared to the 5-year average of 95% and versus 99% done a year ago. Illinois is only 90% complete compared to 100% done a year ago and 95% for the 5-year average. Emergence is at 87% versus 83% last week, 88% last year and 84% on average. Crop conditions were unchanged on a week ago at 60% good to excellent, which is 3 points behind this time last year. The Ukraine Ag Ministry said that the country had increased winter wheat plantings this year by almost 5% to 6.4 million hectares. They said that 89% of winter grains were emerged, and 83% of that was in good to satisfactory condition. However weather forecasters said last week that "at least 30 percent of Ukrainian winter grain crops, mostly late-sown, were under threat and may be damaged by frosts," according to a report on Reuters. Dec 14 CBOT Wheat closed at $5.51 3/4, down 8 3/4 cents; Dec 14 KCBT Wheat closed at $5.96 1/2, down 9 cents; Dec 14 MGEX Wheat closed at $5.83 1/2, down 5 3/4 cents. 17/11/14 -- EU grains closed mostly mixed amidst a general lack of fresh news. Sterling weakness was again a supportive factor for London wheat, not that there's much sign of it leading to increased export activity just yet. At the finish Nov 14 London wheat was down GBP0.35/tonne at GBP123.65/tonne, Jan 15 Paris wheat was EUR3.00/tonne lower at EUR173.50/tonne, Jan 15 Paris corn was EUR1.00/tonne weaker at EUR152.00/tonne, whilst Feb 15 Paris rapeseed was up EUR0.75/tonne to EUR336.50/tonne. The pound fell to a new lowest level in more than a year against the US dollar. It's currently down 2.2% against the US currency so far this month. You may recall it's been noted on here before that November is traditionally a bad month for "cable" (the pound/dollar), sterling has fallen against the greenback for 10 of the last 14 years, and 14 of the last 20. Russia announced that it's grain harvest was now past 97% done at 109.6 MMT in bunker weight. That includes 62.1 MMT of wheat, 21.2 MMT of barley and 10.2 MMT of corn. Harvesting of the latter has now reached 90% complete. The harvest in Siberia is 95% done and in the Urals region it's only 87.5% complete. Customs data shows that Russia exported 2.47 MMT of wheat in October. That's 17% less than in September, but a 35.5% rise versus 12 months previously. Egypt was the top home, accounting for more than 25% of exports last month. Russia said that it had exported 1.274 MMT of grains in the Nov 1-12 period, including 912 TMT of wheat, 274 TMT of barley and 71 TMT of corn. That takes the marketing year to date export total to 16.242 MMT, a 39% rise compared with a year ago. Of that total 13.233 MMT is wheat, 2.211 MT is barley and 658 TMT is corn. APK Inform said that Ukraine's grain exports via seaports fell noticeably last week, down to 472.5 TMT from 666.5 TMT the previous week, without offering a reason why. Wheat accounted for 28% of that total, and corn 70%. The trend towards majoring on corn exports continues, as last week's proportion of total exports was 65% and the week before it was 53%. The Ukraine State Statistics Service said the country's grain stocks as on Nov 1 were up 31% compared with a year ago. The Ukraine Ag Ministry said that 89% of the country's planted winter grains area had emerged, and that 83% of that was in good to satisfactory condition. The acute weakness of both the Russian rouble and Ukraine hryvnia may be leading farmers to "hoard" their remaining grain stocks it is thought. Domestic offers are hard to find in both countries, by all accounts. 14/11/14 -- EU grains were mostly higher on the day and all were higher for the week. At the close Nov 14 London wheat was up GBP0.80/tonne to GBP124.00/tonne, Jan 15 Paris wheat was EUR0.50/tonne higher at EUR176.50/tonne, Jan 15 Paris corn was up EUR1.00/tonne to EUR153.00/tonne, whilst Feb 15 Paris rapeseed ended EUR1.50/tonne lower at EUR335.75/tonne. On a front month basis London wheat gained GBP6.70/tonne during the course of the week, with Paris wheat up EUR13.75/tonne (although last week's marker was set by the Nov 14 contract which expired on Monday), corn up EUR6.00/tonne and rapeseed EUR1.25/tonne firmer. The sudden weakness of the pound across the board has also been a notable feature this week. Whilst sterling has been in a downtrend against the firm US dollar since July when it peaked at around 1.72, its been hovering around the 2-year high 1.28 mark against the euro in recent weeks. That's all changed this week, following comments from the BoE governor Carney that suggested that a UK interest rate rise is potentially much further away than the market anticipated. On the week, the UK currency fell from 1.5877 to 1.5665 against the US dollar, and was down from 1.2744 to 1.2510 versus the euro. This potentially helps to make UK wheat more competitive on the export front, as well as increasing the cost of dollar/euro denominated imports. FranceAgriMer said that the French corn harvest is now 90% complete, up from 79% done a week ago and way ahead of only 56% this time last year. Winter wheat planting is 96% complete versus 91% last week and 81% a year ago. 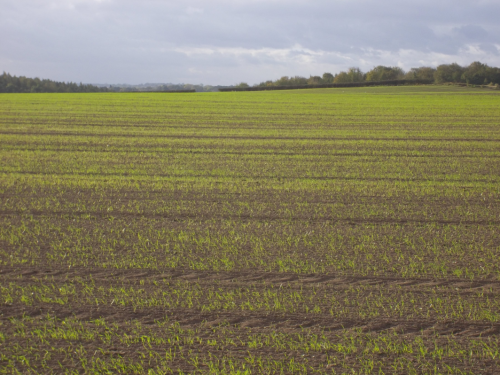 A quarter of the crop is at the early tillering stage versus 16% a year ago. They said that 94% of the crop is in good to very good condition compared to 86% a year ago. French winter barley is fully sown versus 97% this time last year and 45% is at the early tillering stage compared to 34% a year ago. Crop conditions are rated 94% good to very good against 85% this time last year. The UK has imported 301 TMT of corn in the Jul-Sep period, a 22% decline on a year ago, but still an historically large volume, customs data shows. France is the largest supplier to date, being responsible for 118 TMT of that total. Black Earth Farming became the latest organisation to flag up potential problems with Russia's wheat crop for 2015. After a wet spring/early summer, which saw the 2014 crop through to harvest with decent yields, it's turned very dry. "On about 70% of our area the cumulative rainfall for our farms this year to date is now below 2010 levels and very substantially below seven-year averages," they said according to a report on Agrimoney. 14/11/14 -- Soycomplex: Beans and meal finished lower on the day, and lower for the week, Nov 14 beans went off the board the best part of 30 cents down. "It seems that at least for the moment the tight pipeline has been filled with export basis values sharply lower and rumours that southeastern feeds have covered needs with cheaper South American soymeal," said Benson Quinn. Weekly export sales for beans came in at just over 1 MMT, which was in line with expectation. Informa trimmed slightly their projected 2015 US soybean planted area estimate to a record 88.35 million acres. The USDA's October 2014 acreage estimate was 84.184 million acres, so this would represent a 5% increase on this year. 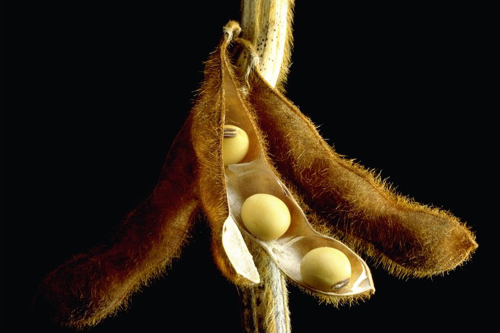 The USDA announced 180,000 MT of US beans sold to China for 2014/15 shipment. These had previously been reported as sales to "unknown" destinations. Nov 14 Soybeans closed at $10.21, down 29 1/2 cents; Jan 15 Soybeans closed at $10.22 1/2, down 31 cents; Dec 14 Soybean Meal closed at $379.90, down $13.60; Dec 14 Soybean Oil closed at 32.20, up 13 points. For the week front month beans were 19 1/4 cents lower, with meal losing $10.50 and oil falling 20 points. Corn: The corn market closed lower on the day, but higher for the week. Profit-taking and increased producer selling after a decent attempt at rallying this week may also have been features heading into the weekend. Weekly export sales of 505 TMT were towards the low end of expectations. "Sales have reached 44.4% of the USDA export estimate, which compares to a 5-year average of 49.3%. Sales need to average 579,000 MT a week to meet the current estimate," noted Benson Quinn. Rabobank explained the recent strength in corn by suggesting that cash corn supplies available to the market as of Nov 1 were down 18% from year ago. This was due to the slow harvest pace and the lack of farmer selling for harvest delivery, they said. Informa estimated US 2015 corn plantings at 88.3 million acres, down from the 88.77 million forecast previously and the USDA's figure for this season of 90.855 million. The trade will be keen to see how much corn got harvested in the US this week in Monday's crop progress report from the USDA. As of last week, 20% of the crop remained unharvested and this week's weather hasn't been friendly. Dec 14 Corn closed at $3.81 3/4, down 4 1/2 cents; Mar 15 Corn closed at $3.94 1/4, down 4 1/2 cents. For the week Dec 14 corn was still 14 1/4 cents higher. Wheat: The wheat market closed higher on the day, and posted decent gains for the week. Weekly export sales of just under 418 TMT were relatively uninspiring, but in line with expectations. "There doesn’t appear to be any new market moving headlines to explain this week’s sharp move higher, other than rehashing what we already knew about Australian harvest, the Russian crop headed into dormancy, etc.," noted Benson Quinn. The recent uptick in tensions in Ukraine/Russia also remains a supportive factor. Even so, Ukraine says that its farmers have now planted 7.5 million hectares of winter grains, or 100% of the expected area, including 6.366 million ha of winter wheat, which is more than was originally forecast. The Ukraine Ministry said that as of Nov 1, Ukraine grain stocks were up 31% on a year ago at 29.9 MMT. Kazakhstan said that its 2014 grain harvest was 96% done at 18.2 MMT. Informa estimated US winter wheat plantings for the 2015 harvest at 42.2 million hectares, up fom 41.79 million previously but down slightly from 42.4 million a year ago. Dec 14 CBOT Wheat closed at $5.60 1/2, up 6 3/4 cents; Dec 14 KCBT Wheat closed at $6.05 1/2, up 1/4 cent; Dec 14 MGEX Wheat closed at $5.89 1/4, up 5 cents. For the week, front month Chicago wheat added 46 cents, with the Minneapolis market adding 45 cents and Kansas up 39 1/4 cents.